In this sci-fi thriller, neuro-scientist William Foster (Keanu Reeves) is on the verge of successfully transferring human consciousness into a computer when his family is tragically killed in a car crash. Desperate to resurrect them, William recruits fellow scientist Ed Whittle (Thomas Middleditch) to help him secretly clone their bodies and create replicas. But he soon faces a ‘Sophie’s choice’ when it turns out that they can only bring three of the four family members back to life. Replicas was released on Blu-ray, DVD and VOD 5d ago in the US. Notify me when Replicas is available. Based on 10 Replicas reviews, Replicas gets an average review score of 25. Keanu Reeves plays a scientist intent on cloning his dead family in this sci-fi thriller also featuring Alice Eve and Thomas Middleditch. Ctrl+alt+delete this from your brain. Replicas’s slippery grasp of just how much of its main character’s research is scientifically possible defines much of the narrative. Here’s a fun game to play to keep your mind from truly wandering during a bad film: try and figure out exactly when the movie you’re watching went rotten. 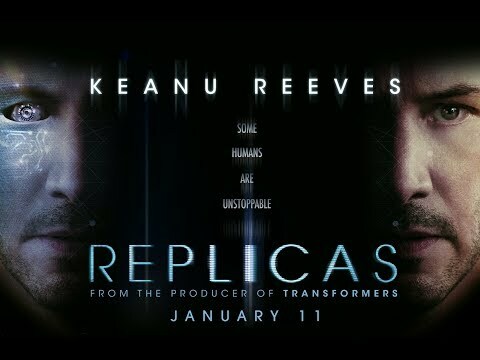 Replicas lacks vigor in its plot, intelligence in its science, depth in its ethics, and humanity all around. It’s a disaster. Rampant silliness and gaping plot holes test audience patience in Jeffrey Nachmanoff's sci-fi thriller.